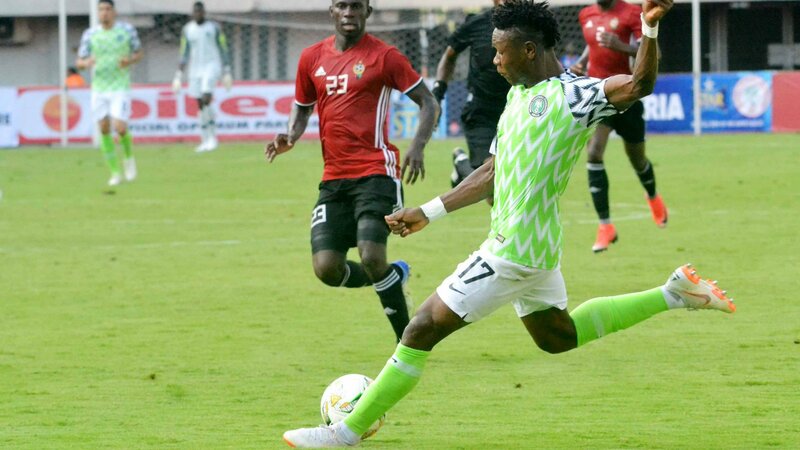 Super Eagles forward, Samuel Kalu, has insisted he is not a selfish player, ahead of the 2019 Africa Cup of Nations qualifier in Libya. The Bordeaux however admits his performance needs to improve for the national team. Although he got on the score sheet, Kalu was guilty of spending too much time on the ball and sometimes a bit selfish in his decision making. It has left fans wondering if he could truly replace Victor Moses in the Eagles squad. “The good thing is that we got all three points, that is more important than my personal performance. I am still learning and working real hard with the help of the coaches. Getting better is my aim and hardwork is the surest way to go about it. “I’m not selfish but the area of the pitch where I occupied was not level so I need to be sure of a pass or shot. When I got used to certain areas was close to when I scored. My career has been more about assist than scoring goals,” Kalu told Owngoalnigeria.com.